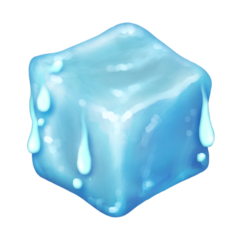 🧊 is an emoji featuring an ice cube. It was introduced with Unicode 12.0 in 2019. 🥶 is an emoji featuring an icy-blue face with gritted teeth. It was introduced with Unicode 11.0 in 2018.